This soft, thick and durable suede leather dice bag is perfect for transporting your precious dice. 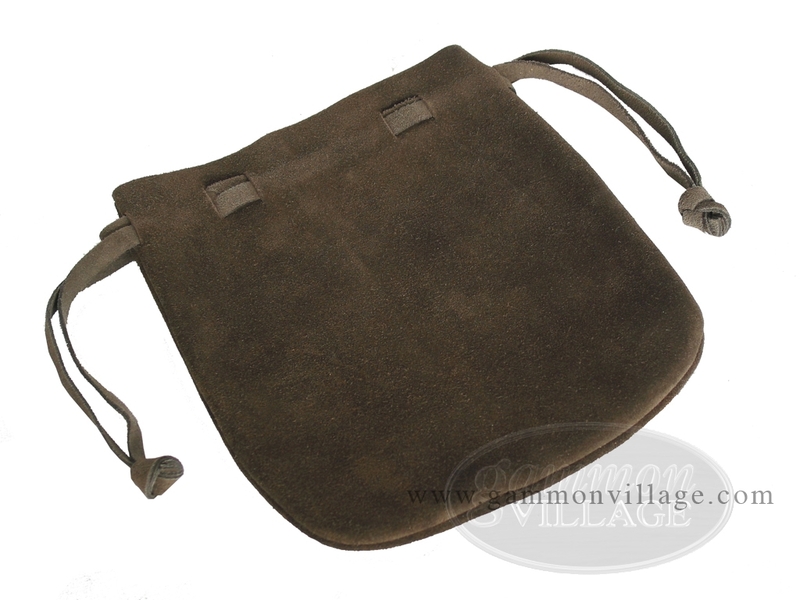 The large size can comfortably accommodate your dice, doubling cube and backgammon pieces inside a nice cocoa suede leather bag. The strong draw strings keep your pieces safe from dust and scratches. A perfect storage bag for the easy portability of your favorite backgammon pieces! Page P5664 Copyright © 1999-2019 GammonVillage Inc., USA. All rights reserved.